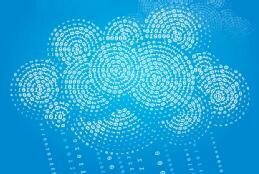 As the cloud has transformed into a powerful delivery model, cloud-based disaster recovery as a service has grown into a large market. And using a DRaaS vendor can be one solid method of protecting your organization from ransomware. Ransomware attackers are targeting all kinds of businesses, from SMBs up through the enterprise. While strong disaster recovery was primarily only attainable by large organizations, DRaaS has narrowed that gap and made it accessible for a business of really any size. Making the investment in a DRaaS vendor can be an organization-saver amid a cyberattack. "The best protection against a ransomware attack is frequent -- if not continuous -- backups that are stored in an alternate location in an alternate operating system," W. Curtis Preston, a TechTarget contributor and analyst at Storage Switzerland, wrote in a recent blog post. "Some DRaaS vendors offer exactly that." Using a DRaaS vendor and failing over to the cloud can be a fast way to restart your organization's engines in the wake of a ransomware attack. You're not going to want to keep running your production system from the cloud, but having DRaaS as a safe emergency platform is extremely helpful, especially given the world of cyberattacks we live in. DRaaS is not the be-all and end-all for ransomware protection. To further protect against ransomware, employ a "3-2-1" backup rule where you have three total copies of your data spread across at least two different media, with one copy offline. Beyond the ransomware issue, there are many elements to picking a solid DRaaS vendor. In the other stories in this handbook, we take you through the step-by-step process, explore some of the costlier components of DRaaS and detail how best to test it. When you're using a cloud-based disaster recovery plan, you really don't have an excuse for overlooking consistent testing, as it can be a pain-free, streamlined process. With many options in the DRaaS market now, the proper analysis of your business and potential vendors is crucial. This step-by-step guide will help you narrow the field. How you use a DRaaS product could affect your pricing. See what hidden costs may arise when you outsource your disaster recovery to a third-party vendor. As ransomware attackers hit small businesses, disaster recovery-as-a-service providers can bring cheaper DR to organizations that may not historically have the budget for it.